Those north of the border have the option of grabbing a fabulous deal offered by LG. 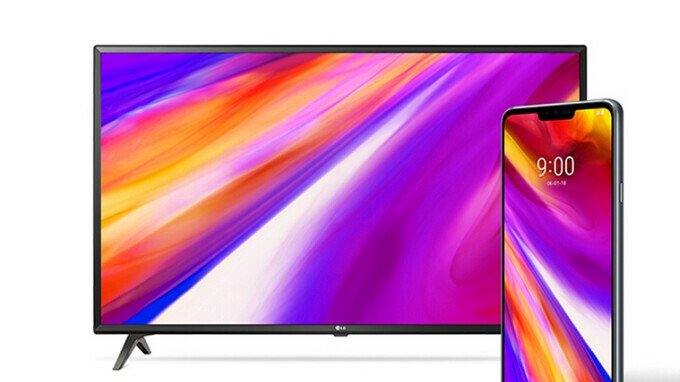 Starting on May 18th and running through May 31st, those pre-ordering the LG G7 ThinQ from certain carriers and retailers in Canada will receive a free 43-inch 4K smart TV from LG. A deal like that just might find quite a few takers. The LG G7 ThinQ features a 6.1-inch FullVision LCD screen with Super Bright Display, and a resolution of 1440 x 3120. Under the hood is the Snapdragon 845 mobile platform with 4GB of RAM and 64GB of native, expandable storage. A 2TB microSD slot is available for those seeking additional storage. The back of the phone carries a pair of 16MP cameras; one has an aperture of f/1.6, and comes with OIS. The second has a Super Wide Angle lens (107 degrees) and an aperture of f/1.9. The front-facing selfie snapper weighs in at 8MP and has a Wide Angle lens (80 degrees). AI CAM analyses the subject of your shot and gives recommendations on how to improve the quality of the photo. Available in Platinum Grey & Aurora Black, the phone is equipped with a 3000mAh battery, an IP68 certification rating, and Android Oreo. If you live in Canada and are in the market for a new phone, this might be the deal you've been searching for. If interested, click on the sourcelink below. Nice deal if you are looking to buy. Nice, if done in US, sales would be booming. I'm keeping my fingers crossed they do the same in the US!!! Still not an incentive to get me to buy a phone from LG. I don't think they have enough TVs to do this deal in the US, lol RIP TV supply. SONY TVs are absolutely amazing while their phone sales are struggling. Maybe Sony should try this.